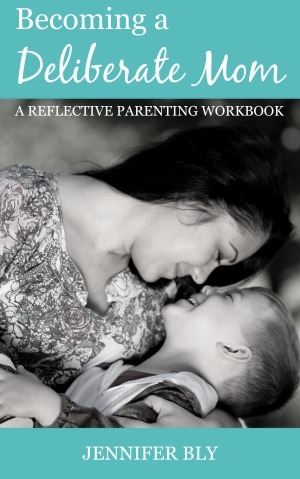 With homeschooling, I can choose the curriculum that best meets my child’s learning style. I love that my children’s education is personalized especially for them! Yes, some days are far from relaxed because a child is grumpy, but for the most part, the calm days far exceed the intense ones. It keeps me connected with my child’s education. There have been countless times that I’ve had natural lessons come up in daily encounters and I was able to use it as an opportunity to enhance my child’s learning and curriculum. Since I’m the one doing the planning and teaching, I’m acutely aware of what my child is (and will be exploring) throughout the school year. So, when opportunities present themselves, we seize them! I couldn’t imagine not fully knowing what my child is learning in school! Yes, I’m Christian, but this goes beyond my faith. When I hear of grade 3 children coming home with horrifying language and graphic sexual “knowledge,” I shudder. Childhood is fleeting, and the innocence that used to last until a child was in grade 7 has shifted dramatically. We live in a world where information is at our fingertips. If my child goes to school, they are at the mercy of the values held by the parents, teachers, and children of that school. I wouldn’t be able to stop the child who’s showing inappropriate content to my child on their smartphone at recess. I wouldn’t be able to shield my child from events and knowledge that are beyond her social-emotional developmental level. Yes, some people may say I’m overprotective. My response? Who cares if I’m overprotective or “sheltering” my child?! I want to preserve the joy and innocence of childhood. Life becomes hard very quickly… why rush it? However, I quickly realized this wasn’t some cliche – it’s true! Ten years ago I was 31-year-old. In 10 years time, I will be 51 and my oldest daughter will be 18! Children do grow up quickly! Before I know it, my girls will be out of the house and possibly have families of their own. I want to enjoy as much time with them as possible. The snuggles on the couch while listening to an audio book, the kitchen counter that was transformed into a science lab, and the back yard that became a scientist’s playground will soon enough be a thing of the past… but the memories will reside in the hearts and minds of my children and me for a lifetime. What is your “why” for homeschooling? Thank you for sharing this, Jennifer! As a deliberate (not default!) Christian public-school mom, it was helpful to read a “why we homeschool” post that did not come across as an attack on those of us who have intentionally chosen to send our kids to public school. I heartily “amen” your reasons and know I would enjoy so many of the benefits you describe if I felt called to homeschooling and believed I could do it well. Neither of which I do! ;) Blessings on your day, from decimals (insert shudder) to dinner! I’m so glad you enjoyed this Elizabeth and that you found this post informative even though you don’t homeschool your children. I never want anyone to feel their education choices are wrong, but it seems like education is just as touchy of a topic as parenting! Our children are individuals and us as parents, choose what’s good for them (and us). It looks different from family to family and praise God that you’re doing what’s right for your child! Thank you so much for reading. I love your sign-off (decimals to dinner…. lol) – that’s brilliant! Why home school? I love being with my kids. I love watching them learn new things. I want to be there when my kids learn to read (my favorite school subject ever!). I want to be sure that the education they get is something that will serve them for their entire life not just be some arbitrary body of knowledge that they may never use. But…I’ve been questioning my decision. I’m halfway through the first year so I guess that’s a good time for doubts to start setting in, especially since my daughter is still young enough to start kindergarten at a “real school” this fall. 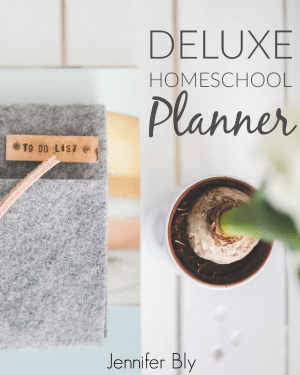 But, I’m so excited for Deliberate Homeschooling’s launch and I hope that your printables (I printed off a couple last night) can help me feel less like I’m floundering at this home school thing. I love your reasons for homeschooling. I’m sorry to hear you’re having doubts but can I assure you that it’s completely natural to have those doubts – especially given the stage you’re at! I hope that Deliberate Homeschooling can help you feel more confident in your decisions and the way you choose to educate your children. 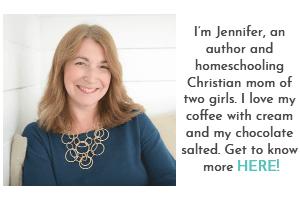 I’m so glad I get to read one of your posts on homeschooling, Jennifer! I can tell that you’re really passionate about it and it shows through your writing. Your reasons for homeschooling are noble, and since reading this post, and your book, I’ve been considering it as well. I was in the educational system for 6 years, and I know that just before I left to stay home with my daughter, a big push for making standardized test scores even more prevalent was just starting to stir. As a teacher, I didn’t like the idea. My students would be nothing but numbers on paper and I would be forced to teach them skills that they may not be ready for (let alone relevant to their learning). What I loved most about teaching was connecting with my students, beyond the their test scores and homework completion. 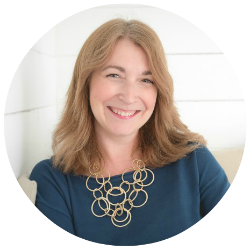 I loved talking to them, and incorporating what they liked into the curriculum we were handed. I believe that’s what makes them successful, that’s what allows me to teach them the right skills, and what makes them willing to learn them. But turning our schools into a test taking magnet eliminates that. As a parent, testing my kid on content that’s way beyond her reach, and not allowing her teachers to make that connection with her is something I cringe thinking about. One of the reasons I became a writer is because teachers had the patience to hone my skills…and I want the same for my daughter. I want her education to be encouraging and not just…systematic. I want her to realize her potential with the help of her teachers, her peers. And standardized testing isn’t doing that. So should the US education system continue in this trajectory, I will be right there with to homeschool my kid. It holds plenty of benefits, as you mentioned, but it’ll also allow me to provide that connection that schools are inevitably losing as the years of standardized testing continue. Can I just tell you how much I appreciated this Maria?! I’m a former early childhood educator and often worked hand-in-hand with the education system and I didn’t like what I saw. I think a lot of teachers share similar concerns… yet still the standardized tests are shoved at people. It just doesn’t make sense to me. I hope that my posts continue to encourage you. Regardless of your education decisions, I know you’ll do what works best for you and your child. The freedom for my daughter to learn at the speed she needs to learn is our main reason for homeschooling at the moment but there are so many more reasons/benefits to it. It is a grand adventure for sure. Hopping over from Lisa’s Linky (Squishable Baby). That’s a wonderful reason to homeschool. The conventional school system certainly doesn’t cater to learning at one’s own pace but the benefits are many. Thank you so much for stopping by Christine. I loved hearing your perspective on why you homeschool. I love the design of your blog! I homeschool because I want my kids to have the freedom to learn at their own pace without pressure and labels. I want them to take as long as they want to learn about something they are interested. I think the constant shifting between subjects in school is a major cause of killing creativity and that desire to learn that all kids are born with. I love your reasons for homeschooling. I agree, the flexibility to continue learning about something they’re enjoying is awesome! The other day my daughter got up and started writing a book about a dog. I cancelled school for the day… because to me, her initiative to write means far more than math or a science experience. Thank you so much for sharing your reasons as to why you homeschool! I love, love, love reading about other homeschoolers “why”. Education is a very personal decision and we are blessed to have options. Thank you for sharing. I love reading about others’ homeschooling “why” as well. It’s so fascinating and you’re right, education is a personal decision. I feel very fortunate to be able to school my children the way I wish.